Top of the line fine bone china coffee mug presented in a black gift box. Enjoy your favourite coffee with one of these premium coffee mugs. 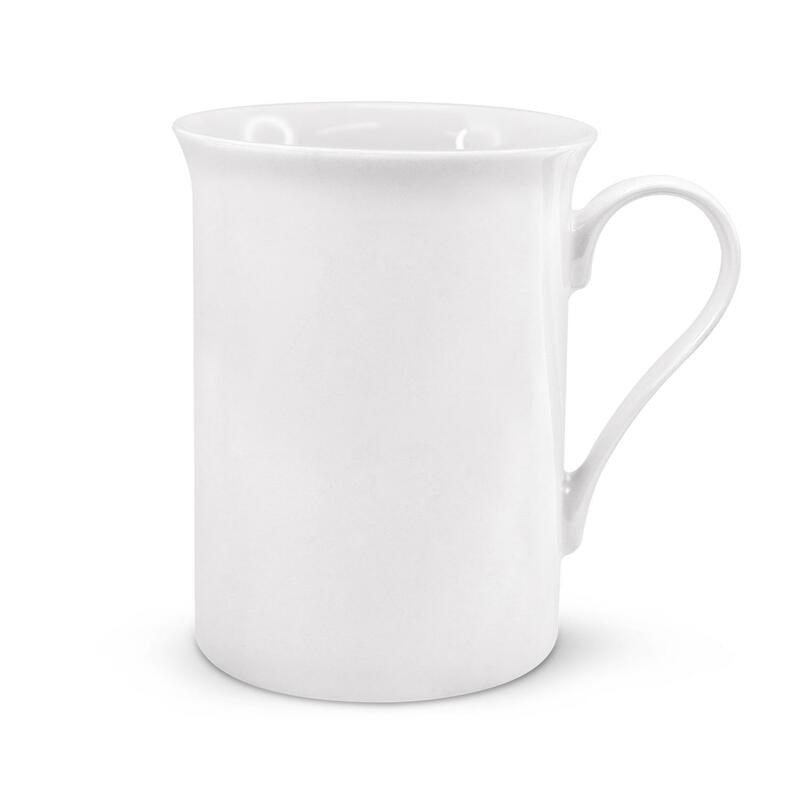 These high quality fine bone china coffee mugs features an elegant round shape and has a 300ml capacity. 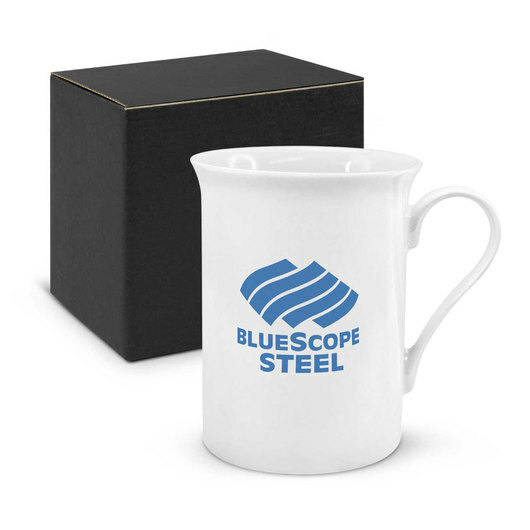 They are manufactured to be dishwasher safe including its branding options and are presented in a black gift box.